I was asked to write about my experience with the travel commitee and the trip to GUADEC 2010. Short: Very good. 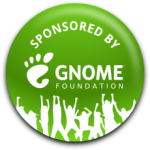 Whenever you should want to travel to some conference or hackfest that is related to GNOME, ask these brave people for help. Long: I am no student, but was a speaker at GUADEC (in my vacation time, not officially from my company). So I hoped to get at least some support from the Travel Committee to reduce the impact of the whole trip on my budget. They organised a hotel and payed for it and sent me some information about a very cheap flight (half the price than the cheapest flight I found). The hotel thing included breakfast and lots of other hackers staying there. This alone was extremely valuable. The only (very small) downside: I had to wait a few days longer for the Travel Commitee’s answers than I expected, but at GUADEC I saw so many people who got the same good assistance from them like me – they had to be working on some kind of caffeine flash to get this all together. Please be patient. Everything worked out perfectly. Thanks to the Travel Commitee ! ~ by thorstensick on August 1, 2010.